I remember James Rosewell, from 51 Degrees telling us that their software (built into Sitecore 9) can detect over 50,000 unique devices alone, combine that with so many browsers, clients and ESP providers, it's an unnerving feeling. As marketers, we need to ensure that regardless of whether a customer opens our email in Gmail on the latest version of Chrome or Outlook 2003 on their desktop, the email renders correctly. Sending an email to hundreds of thousands contacts, we have no idea what devices each of our recipients will use, so running extensive testing on the template before sending is essential. 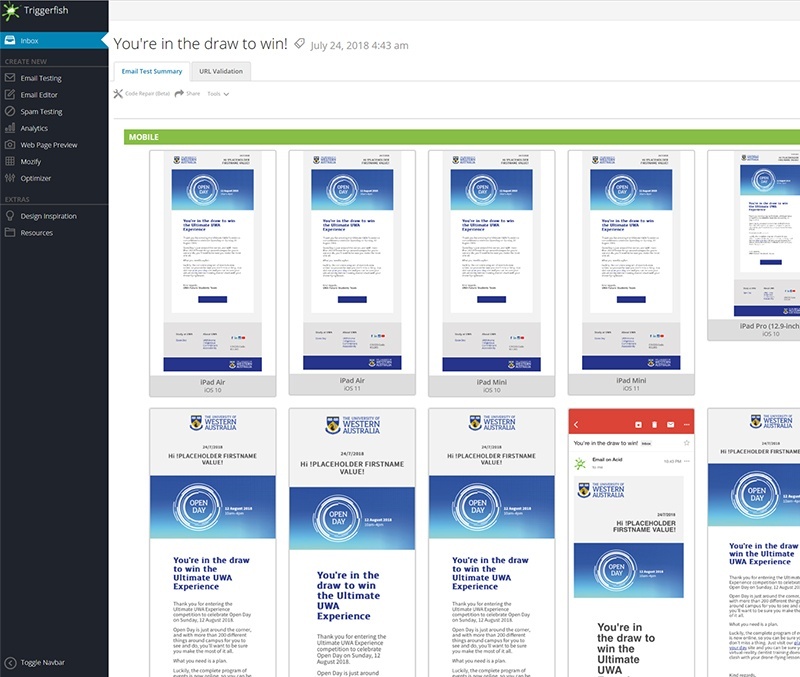 Testing our email across multiple devices has always been a significant challenge. If you were lucky enough to have Sitecore or a similarly powerful EDM platform that had a testing solution built in, that definitely made it easier. Unfortunately, a while ago Sitecore removed the Litmus integration from EXM, leaving us with a bit of a process gap. How do we solve this process problem? We recently decided to review the tools we use for email testing and after lots of late night research we settled on EmailonAcid. Similar to Litmus, you can quickly test a template on over 70 devices and clients, displaying the results in a single overview page, but we think UI is a bit slicker and easier to use. 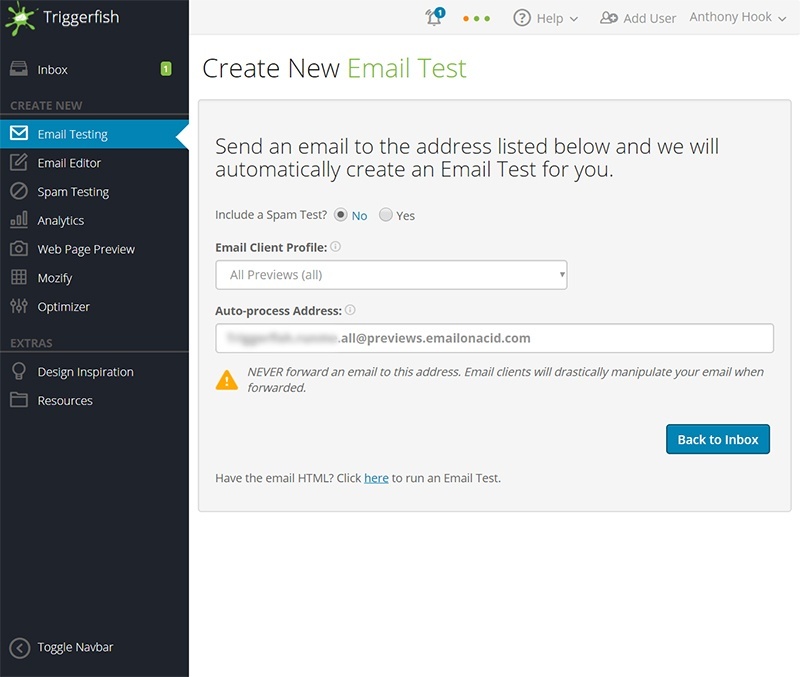 Not being able to test with the click of one button from the email editing tool is an overall drawback for us, but EmailonAcid gives you a nice single email address to run a test with. So, whilst it is an extra step and a change to our process, it's a simple, documentable one. 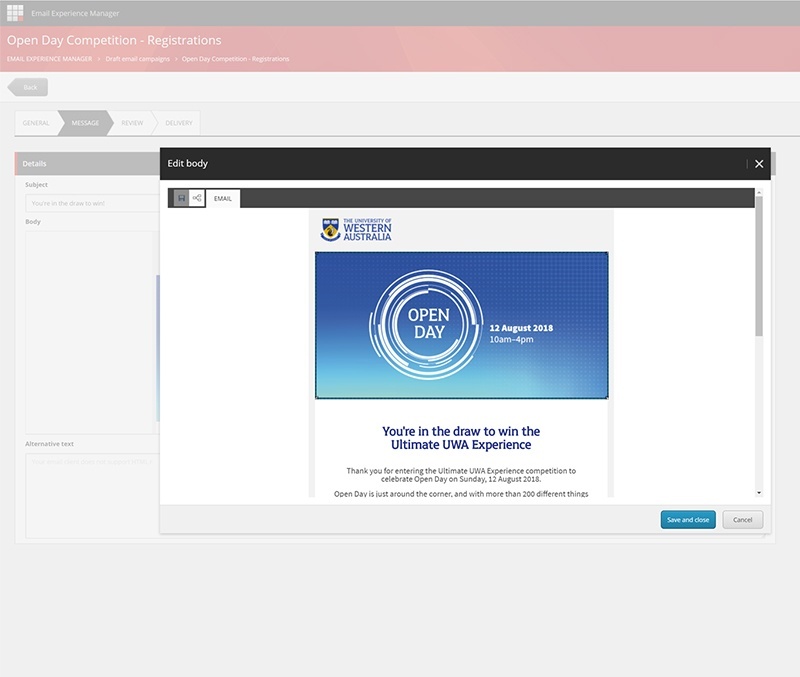 We mostly send emails through Sitecore, so we thought we'd show you how we do it. 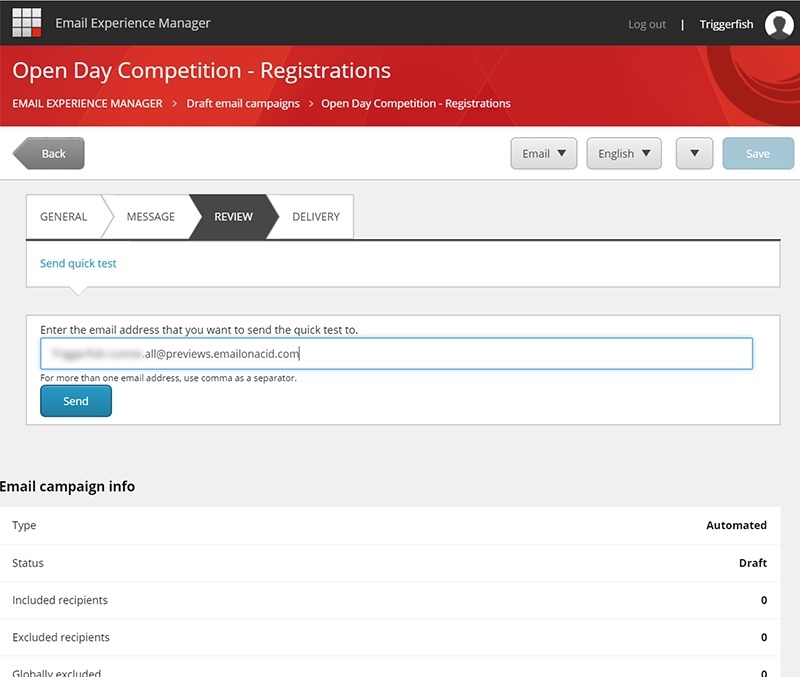 Step 3: In EXM, after we have finished creating an email template, you can goto the review tab, here we have the option to send a test email to an email account. Input the Email on Acid unique capture address and press send! Step 4: Head back to the Email on Acid UI and in your inbox you should find your test! TADA! - Lets see how the email template renders on a variety of email browsers and devices. I hope this is as useful for you as it is for our team. We put every effort into making our email templates cross-browser compatible (more on this another day), but there is nothing better than a real test with the real content! If you want to learn more secrets to sending successful email campaigns, or you are just starting out with Sitecore EXM, we provide both co-team and fully-managed email marketing programs on Sitecore, please let us know how we can help you.